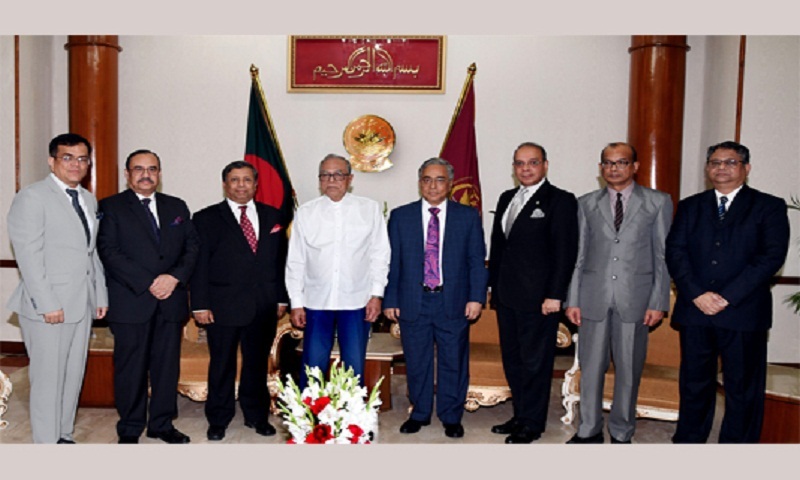 President M Abdul Hamid on Monday expressed his satisfaction over the quick disposal of cases in the Supreme Court as a delegation of SC judges led by Chief Justice Syed Mahmud Hossain called on him at Bangabhaban on Monday afternoon. The President said the sufferings to the litigants have already been reduced significantly for the quick disposal of many long-time pending cases and it would help ensure justice for the justice-seekers, President’s Press Secretary Joynal Abedin told the Bangladesh Sangsad Sangstha (BSS) after the meeting. The head of the state also hoped that the judges and others concerned would remain vigil so that people can keep their faith on the SC, country’s apex court, he added. During the meeting, the President was apprised by the delegation of different aspects of the Judiciary, including Strategic Plan of Supreme Court of Bangladesh and progress of the disposal of cases in the High Court and Appellate Divisions. The President assured them of providing necessary cooperation in this regard. The chief justice also handed over a publication to the President on the occasion of the Supreme Court Day. Secretaries cornered to the President were also present there, report BSS.